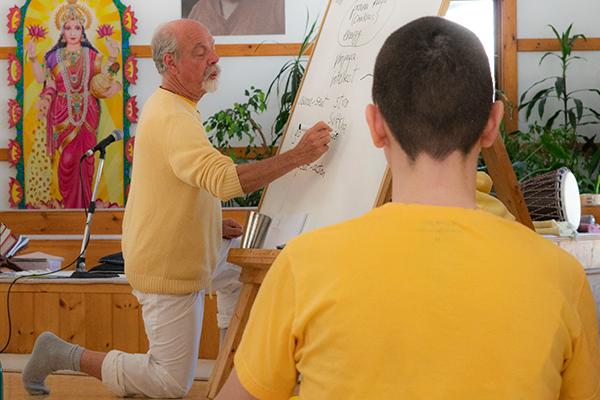 These courses offer a deep insight into the principles and concepts of ancient yogic practices. 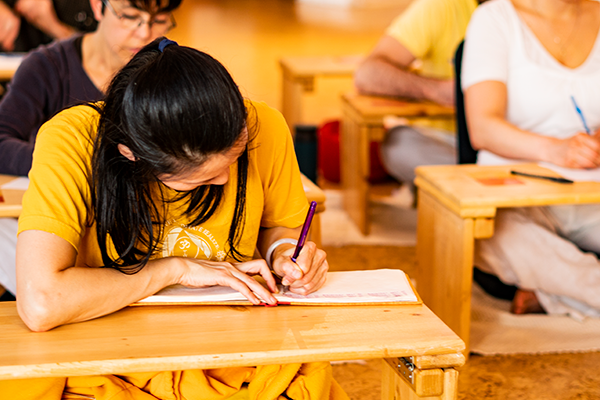 These weekend courses are suitable for beginners who are interested in an introduction to the more philosophical as well as practical aspects of yoga and are also suitable for regular practitioners who are seeking a deeper understanding of these profound practices and concepts. A deeper understanding of Yogic Studies will give you the tools to put into practice what you have learned over the weekend at the Ashram. 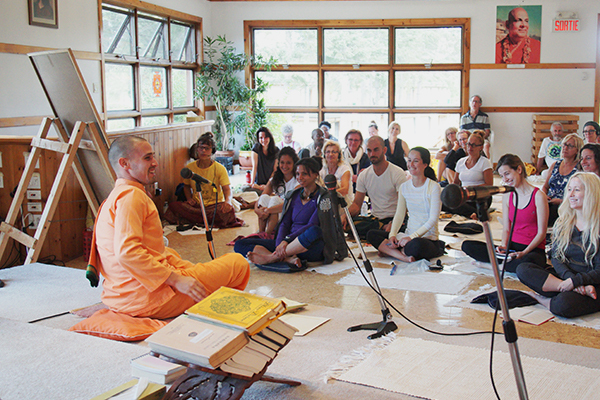 This experience and the teachings will transform your daily life. 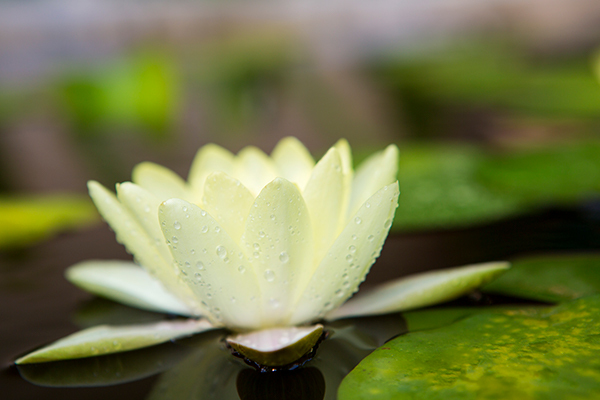 The science of Ayurveda, Indian system of healing and science of Yoga are closely aligned. 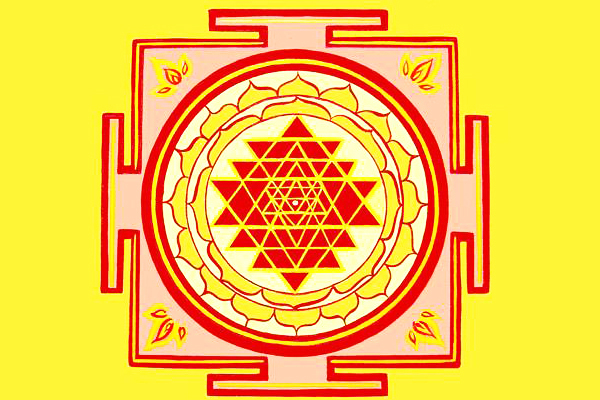 Ayurveda considers each of us as unique individuals with unique balance of 5 elements and 3 doshas (biological energies). The biological energies govern functioning of the body, mind, emotions and awareness. Discussions will be focused on understanding the concepts of 5 elements and 3 doshas and how our yoga practice affects our constitution. We will learn how certain awareness of postural alignment, breathing and our mindset can bring balance to our practice. Over the period of time we can learn to adapt the basic practice with right variations so that in spite of all the factors that contribute to imbalance of doshas, we can still lead harmonious life. 21junAll Day23Chakra Cleansing Through Nada Yoga Short Description: Explore how the “yoga of sound” can work on the body’s subtle energy centers to create deeply healing states of peace and clarity. Chakras are the subtle energy centres in the body. They govern our health physical, mental, emotional as well as spiritual, the quality of our thoughts and the direction of our life. 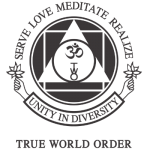 In this series of workshops, we will learn about the different dimensions to our being, the Chakras, their roles in our life, how to balance them through meditation, Mantras, Mudras and Nada Yoga. These workshops involve intermittent meditation as well as live Sitar music. Please dress comfortably. Experts on integrating traditional yoga and Ayurveda practices to provide a more holistic approach to health and wellness. 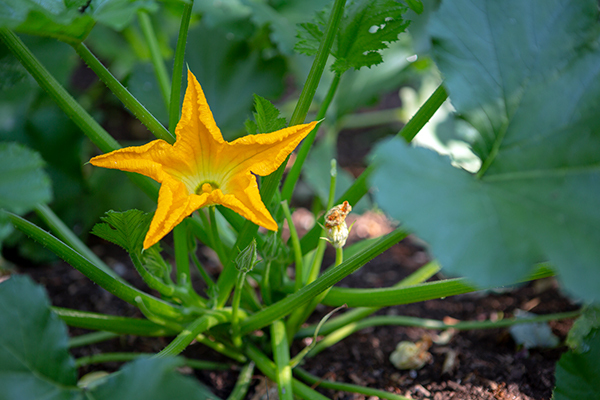 Discover the art and science of feeling good at home! Have you ever wondered why you feel so radiant inside your favorite indoor space? That wonderful feeling is Vāstu Shastra at work. Vāstu is an ancient architectural method from India that’s entering mainstream practice all over the world. It’s the key to the healthy home. As you’ve probably guessed, a happy home takes more than great aesthetics. The secret is three-prong and lies in the location, architectural and interior design of your home. And the good news is that homeowners, architects, builders, and designers can all play an active role in awakening that good feeling in any home. Learn how to make your home a Happy Space and a Happy Place with Olga Mandodari. 06sepAll Day08Building a Spiritual Practice for Busy People Short Description: Learn the power of having a strong home yoga practice that can help foster balance in even the busiest of daily lifestyles. You would like to establish a practice at home but don’t know where and how to find time to start? 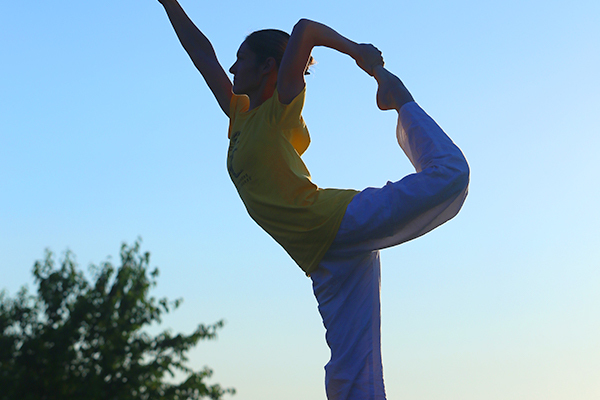 You would like to develop a better discipline and build a stronger and more regular practice? Understand better how to choose the practices that are right for you according to your reality (time, needs, interests, environment). Discover helpful tools to apply those practices in the midst of a busy life and learn how to determine reasonable and achievable goals for your spiritual practice and evolution. Realise the importance of keeping a spiritual diary to build a stronger practice and to grow spiritually. Mookambika Chaitanya is a yoga practitioner and yoga teacher who enjoys sharing her love for yoga and the knowledge she acquired through the practice of yoga. This weekend is an exploration of Karma and Dharma, looking at the practical application of Yoga's techniques and philosophy to uplift us through all the changes and chances of life. This weekend is an exploration of Karma and Dharma, looking at the practical application of Yoga’s techniques and philosophy to uplift us through all the changes and chances of life. With the help of the examples of scriptural stories, we will learn to see our own stories in a larger yogic context and to use all the materials of our lives as our blessings and guides on the path to greater freedom and peace of mind. With such an understanding, we grow in strength, devotion, and discernment, which helps us to remain positive in times of both difficulty and joy. Swami Satyapremananda is director of the Sivananda Yoga Vedanta Center in Chicago. In 2016 she took initiation into sanyas, confirming her commitment to spiritual life and service. 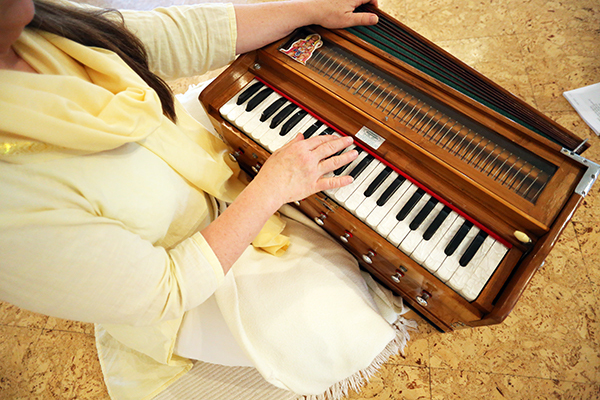 Her favorite spiritual practice is singing the names of God. 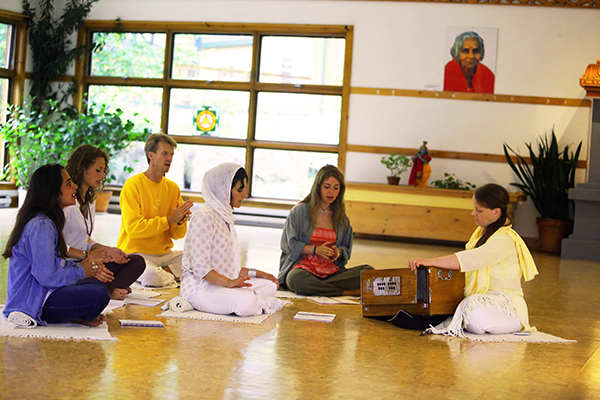 She regularly teaches courses on positive thinking, Raja Yoga, meditation, Bhakti etc.. and has assisted the teachers training courses in New York. 15sepAll Day19Find Your Voice - Chakra and Meditation Workshop Short Description: Explore the power devotional singing has on raising vibrations, opening the heart and soothing the mind and body. Music is the yoga of sound. Singing has a benign effect on the physical and subtle bodies. Singing is an excellent method of soothing the nerves. Singing directs the emotions to a positive goal. Devotional singing can be sung in any language. 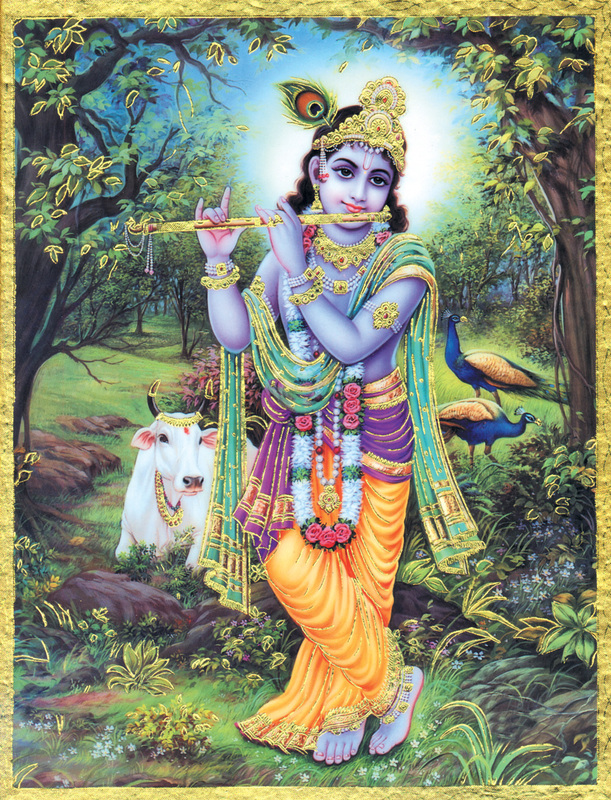 Kirtan melts the heart, fills the mind with purity and generates harmony and divine love. Sound, made up of vibrations, is energy. A Sanskrit mantra is a mystical energy encased in a sound structure. Mantra chanting is the most joyful technique towards connecting with God. The various musical notes have their own corresponding subtle channels (nadis) in the energy centers (chakras). Music vibrates these channels, purifies them and awakens the spiritual and psychic power dormant in them. Each of these brilliant claims by Swami Sivananda perfectly describes Jyoti’s Finding Your Voice Mantra Meditation workshop. They will activate and become friends with each of the 7 chakras through humming and singing, seed mantras, Indian Ragas, beautiful chants and easy nurturing songs. 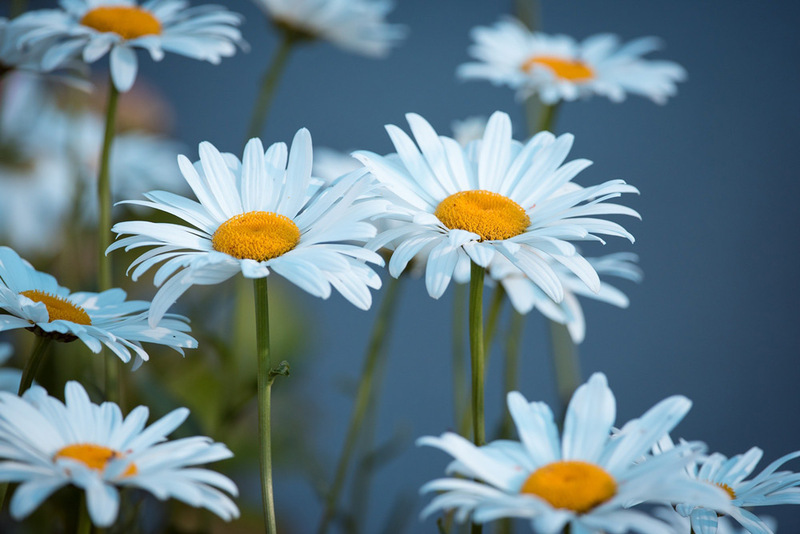 Each will have the opportunity to sing with the entire group and to experiment with singing and leading chants in small groups, while making deep and lovely connections with each other. Jyoti Jody Tull is a certified therapeutic yoga instructor who combines the healing power of music with the ancient healing power of yoga. She received her Master’s Degree in Music Education from Columbia University, and has 20+ years of international therapeutic music making and yoga teaching. Her work travels include Europe, India, the Bahamas, Canada and the United States. She leads private and group yoga sessions, meditation and chanting circles and she has for many years led a yoga and Finding Your Voice retreat in Soglio, Switzerland. Come explore the richness contained in one of the most beloved yogic philosophy scriptures and how the different the forms of spiritual disciplines explained in it can be used in contemporary times. The Bhagavad Gita is one of the most influential scripture in eastern philosophy and it represents the eternal message of spiritual wisdom from ancient India. Japa is the repetition of a mantra or divine name. It is a tool that can help us to go deeper into the practices of concentration and meditation, as well as a way of increasing our devotion. The mantra repetition is a refuge in difficult times when no external help can be found. It is a faithful companion that can accompany us in all circumstances, at all times and at all places. 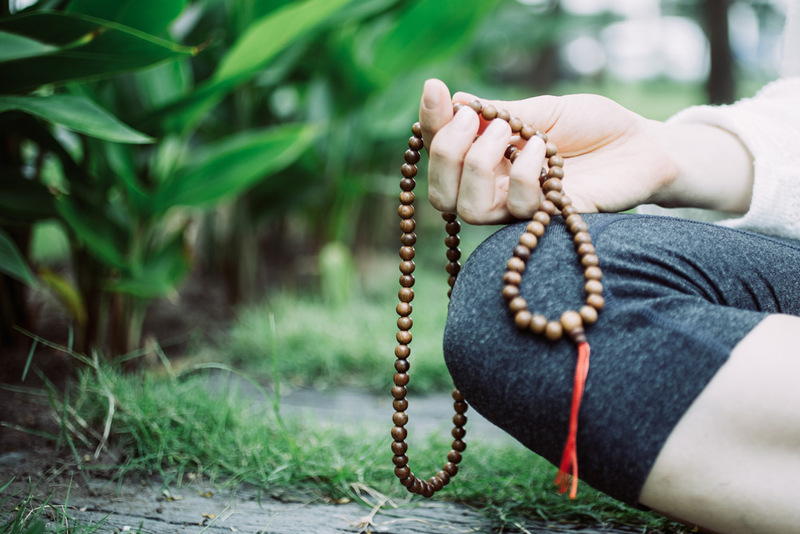 Discover the many benefits of Japa, learn more about this practice and how to use a Japa Mala (rosary). Start experiencing the mysterious power of the repetition of the divine name! 06decAll Day08Mala Making Workshop Short Description: Creating your own prayer beads and infusing them with the power of intention is therapeutic, inspiring, and can help guide your spiritual practice into a deeper place though mantra recitation. 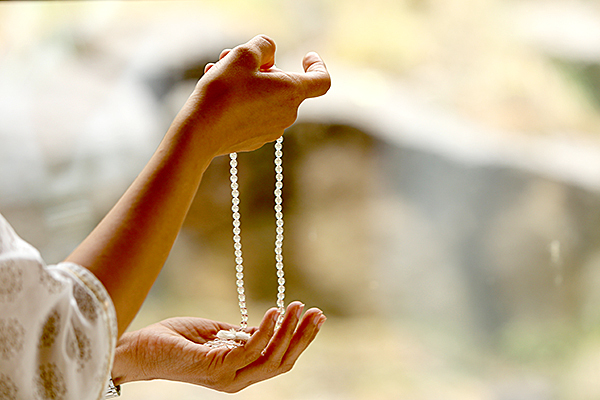 Creating your own mala is therapeutic and inspiring as you infuse it with the power of intention to help guide your spiritual practice into a deeper place though mantra recitation. It is a tool to help you count mantras, and acts as a tactile guide as you sit in silence. Pierre Corvione is a versatile and diverse practioner of Yoga and philosophy, with a very strong practice in Japa Yoga. He spent many months over the past 20 years in India studying and learning about the culture and yogic practices, and has been working at the Ashram for over 15 years. He has a depth of knowledge on ancient native american traditions, and was trained in their various practices. With a strong connection to nature and earth, he has the ability to lead and guide people through native teachings.